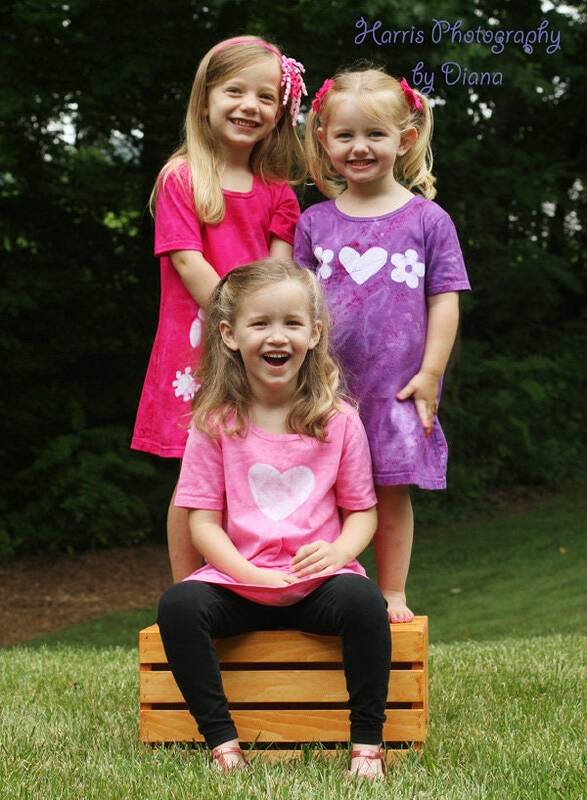 Lots of little girls love purple! 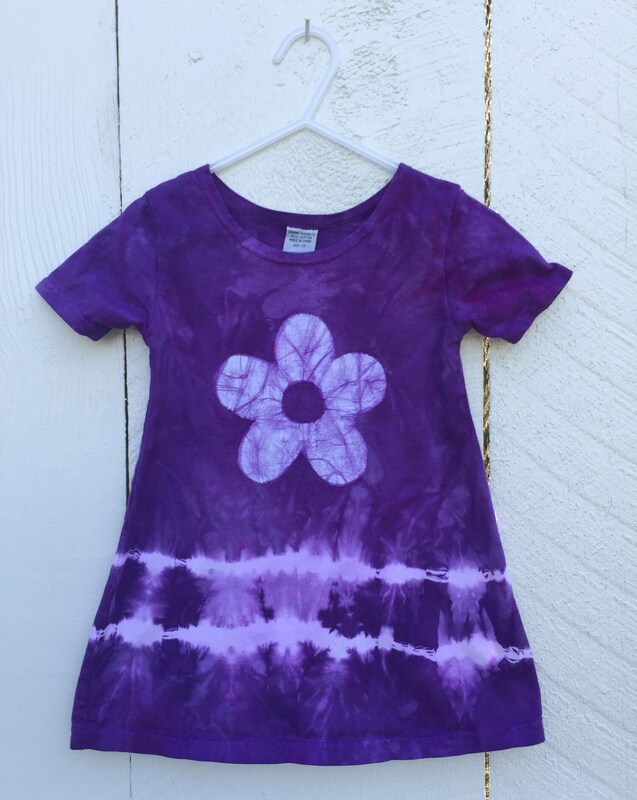 This pretty purple flower girls dress has a big batik flower on the chest and two lines of tie dye to embellish the skirt. 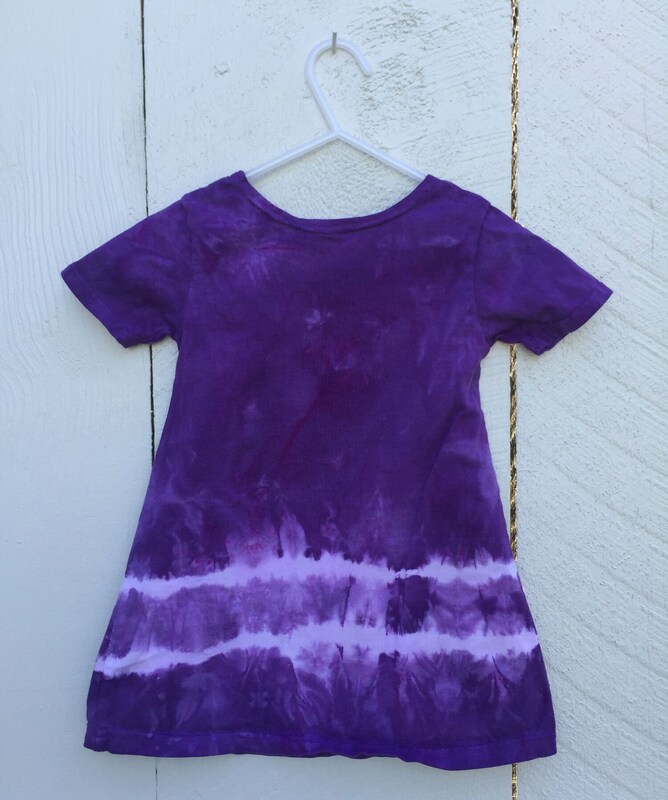 The dress is dyed a deep grape purple sure to delight anyone with a passion for purple! This is a size 2T short-sleeve dress. It is made of 100 percent cotton and has a pretty A-line shape. 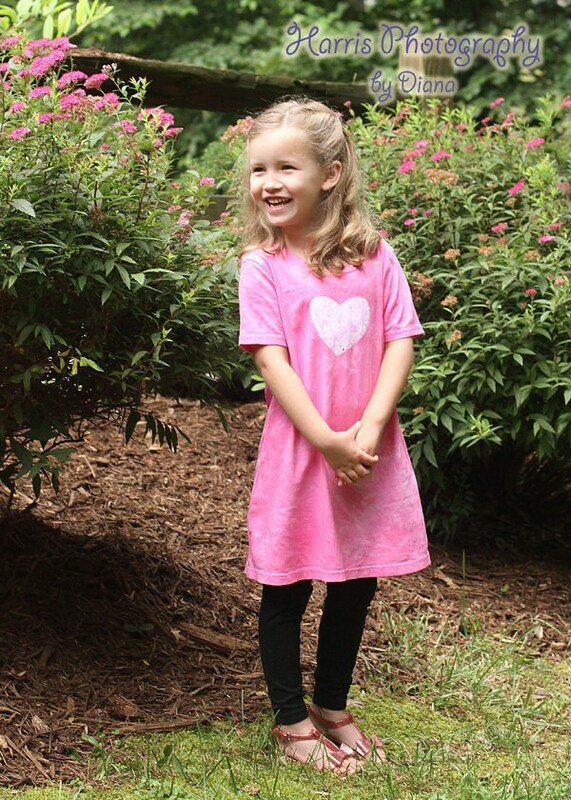 These little dresses are adorable for weddings, dress up, school, church, and play dates! They're cute with leggings and tights.